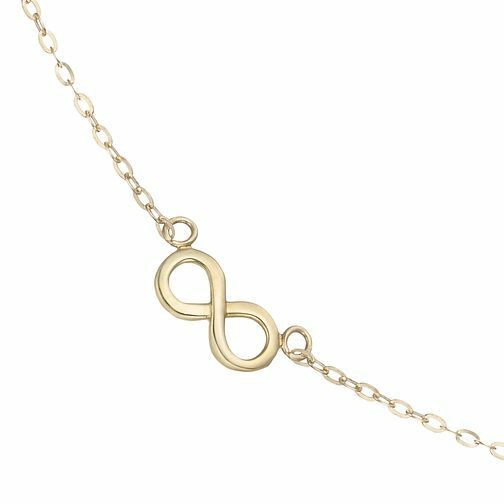 Take your style to the next level with this gorgeous infinity symbol charm chain choker. Created in stunning 9 carat yellow gold with a single infinity symbol charm at the centre, this choker is the perfect accessory to complete your look. Length shown is a minimum length. Each Choker has a 5cm extender to reach lengths up to 16”.